Are you looking for a pet product direct sales company? Then look no further! pawTree is a new ground floor opportunity featuring an exclusive line of products for your favorite furry friend! There are two types of people… those who love their pets… and those who LOVE their pets. I admit I am one of the more extreme, and if you follow me on social media, you have probably noticed. 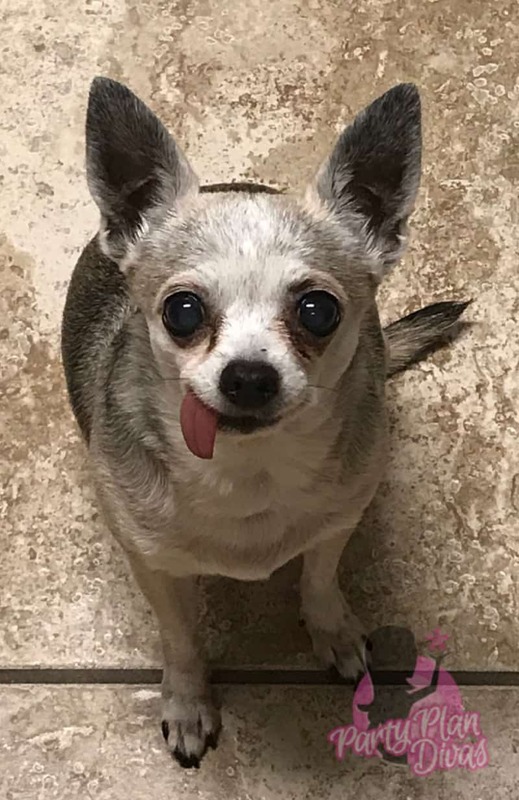 This is my Indi. See that little spot on her nose… that would be a piece of the pawPairings​® Seasoning Blend. She LOVED it. pawTree is a direct sales company with products for your furry best friends. They also offer exclusive pet toys, bowls, blankets, gifts and more! pawTree Products offer Complete and balanced Customized Nutrition Plans developed for every pet’s unique needs. All of their products are natural and holistic, and you can you can even shop by any issue your furbaby might be having. All pawTeee products are developed by Veterinarians and Nutritionists and Made in the U.S.A.
You can become a pawTree PetPro and receive everything you need to begin sharing these great products with your pet loving friends! The Asian Blend is a combination of Duck and Chicken, with Red and Green Bell Peppers, Oranges and Broccoli. 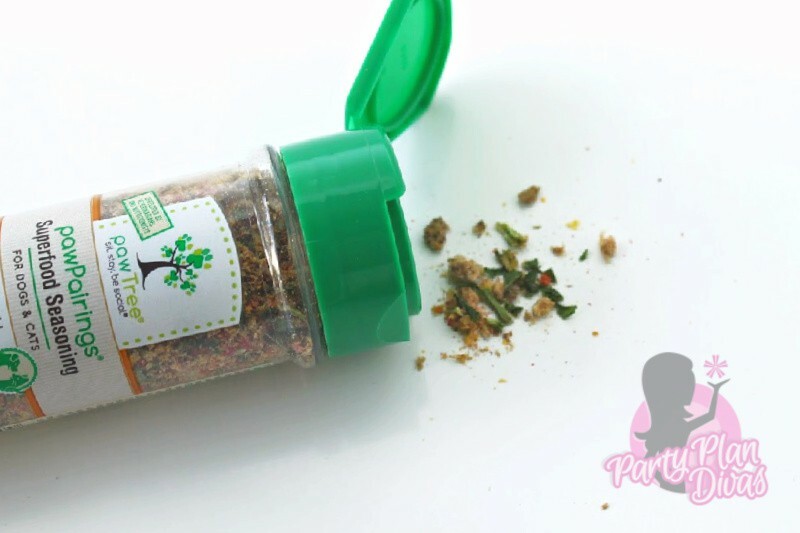 You can simply sprinkle it on top of your pet’s favorite food for a little extra kick! pawTree Pet Seasonings offer a powerful blend of Natural Vitamins, Minerals and Antioxidants as well as delicious freeze-dried proteins (either meat, poultry or fish) your pets will love! Indi has always been a good eater – but she absolutely loved this stuff. I have to admit – it smelled good enough for me to eat! 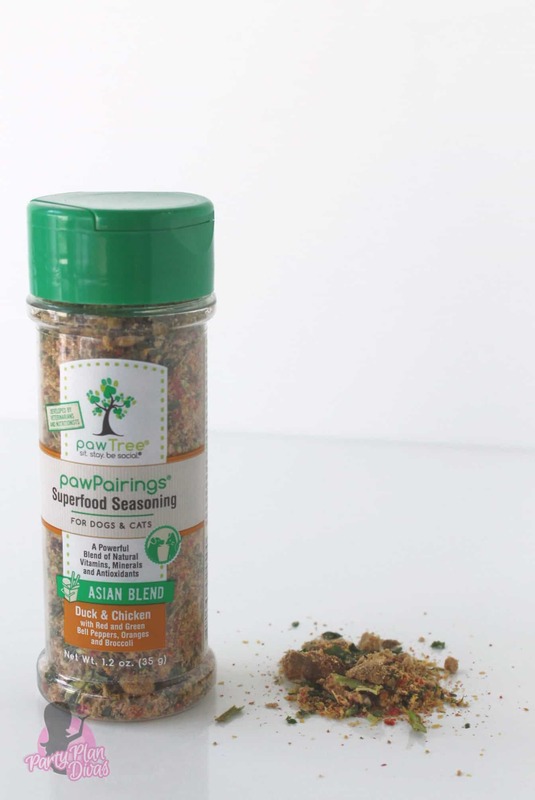 Independent pawTree PetPro Debbie Digiantonio is offering a jar of pawPairings ® Superfood Seasoning to one reader here in our Diva Holiday Gift Guide! You can enter using the RaffleCopter Widget below! Good luck!